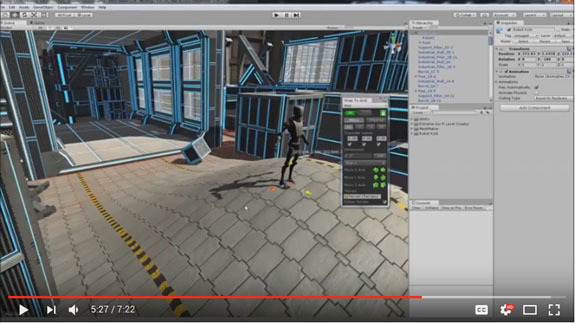 Snap To Grid makes positioning objects in the Unity editor much easier and faster. You can snap while in Move, Rotate and Scale modes and to make things even faster you can use the quick transform buttons. The program also includes a handy feature to snap to the terrain height. 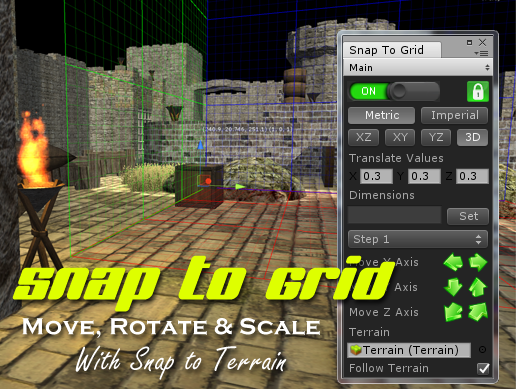 Snap To Grid has been designed to support both Metric and Imperial units, including both degrees and radians. You can select the Metric and Imperial units from a convenient drop down list and even enter custom values in a text box. You can write to us at support@meshmaker.com if you have any suggestions or bug reports. Thanks for your support while we worked on this new utility and we hope you find it helps to speed up your product development in Unity.